I love when the leaves start falling off the trees and I love the cool air that wraps itself around you. I love looking up at the tree's and being surrounded by red, orange and gold and I love walking along the street with a warm cup of coffee in my hand and a scarf round my neck. Yeah, I really do love Autumn. I know that most bloggers posted about Autumn in September or early October. I however, decided to write about Autumn at pretty much the end of Autumn. Why? Because instead of sitting inside writing about it I was outside enjoying every moment of it! Last Friday was super fun for us. 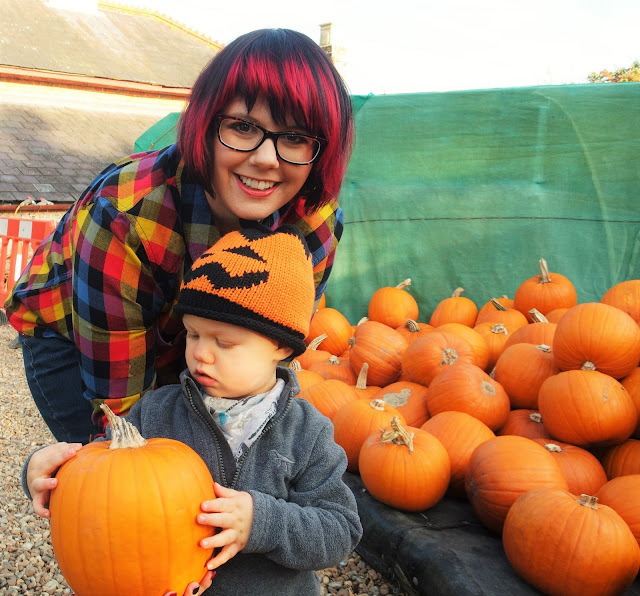 We went along to Slindon to a pumpkin paradise and picked our perfect pumpkin for Halloween. Lewis absolutely LOVED it. So much so that he actually fell into the middle of the pile of pumpkins whilst picking the perfect one! We've done a little vlog which is posted below. If you follow me on Instagram & Twitter you will know that I am a HUGE fan of all tea produced by the Bluebird Tea Co. 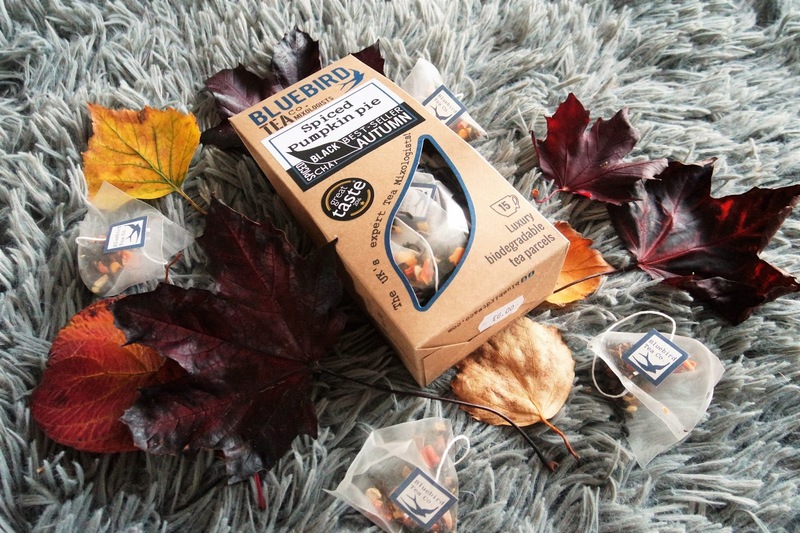 This blend though is pretty darn special and if you wanna try it you better be quick because it's an Autumn favourite and this is the last week of it being in store so head on over to Bluebird Tea Co. now and grab a bag / box you won't be disappointed! It's AWESOME! As it gets cooler your skin tends to need a bit more moisture. Especially in the Winter! Autumn is a good time I find to stock up on beauty treats such as hand cream and lip balm. This hand cream is definitely worth a look. It's thick and moisturising but it's not greasy. It smells also pretty lovely. I was so excited to try this water. I love different waters or juices and I'm a big fan of Coconut Water, I used to drink it all the time in Dubai. This water isn't really just for Autumn time however I thought I would share it with you now because the water contains tree sap! Yup, that's right TREE SAP! It tastes so refreshing. 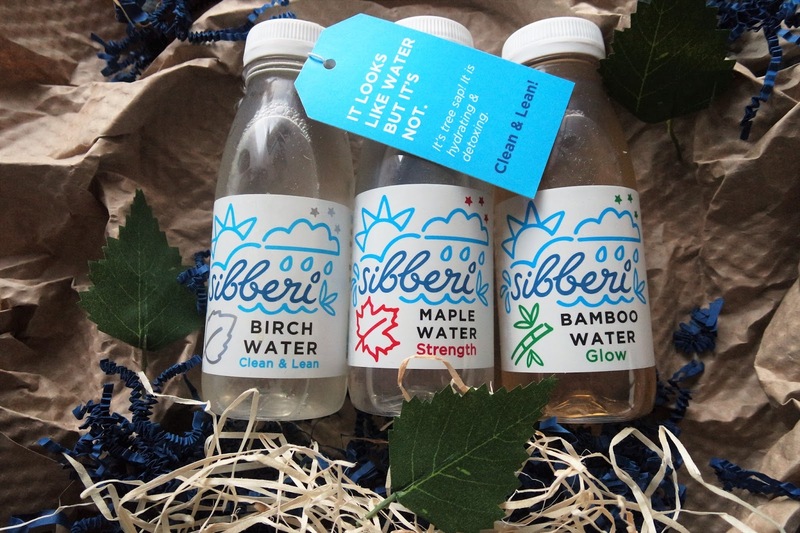 Maple Water is definitely my favourite out of the three. However, they all taste great. Find out more on Sibberi.